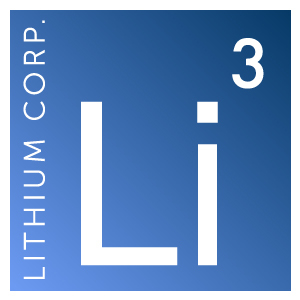 Lithium Corporation holds Placer claims that cover approximately 6400 acres. 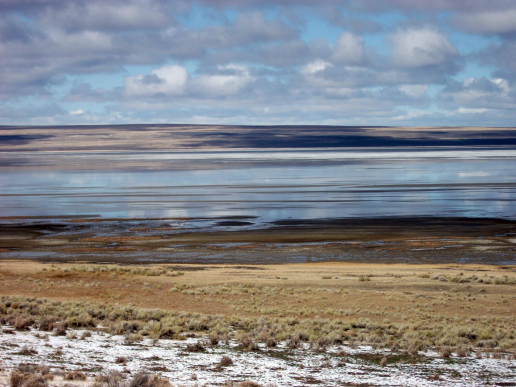 Locally Lithium enriched Tertiary era Fish Lake formation Rhyolitic tuffs or ash flow tuffs have accumulated in a valley or basinal environment. Scroll down for the full description. 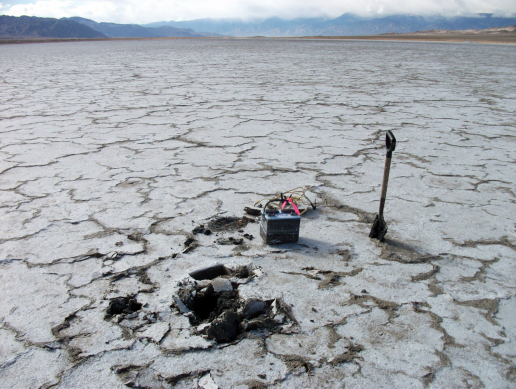 Over time interstitial formational waters in contact with these tuffs, have become enriched in Lithium, and could possibly presently be amenable to the extraction by evaporative methods similar to Chemtall Foote’s Silver Peak operation which is located in Clayton Valley, Nevada, which is only 22 miles (35 km) to the SE of Fish Lake Valley, and which is in a pretty much identical geological setting. Silver Peak is the only lithium carbonate brine producer plant in North America, and has been producing since 1967. 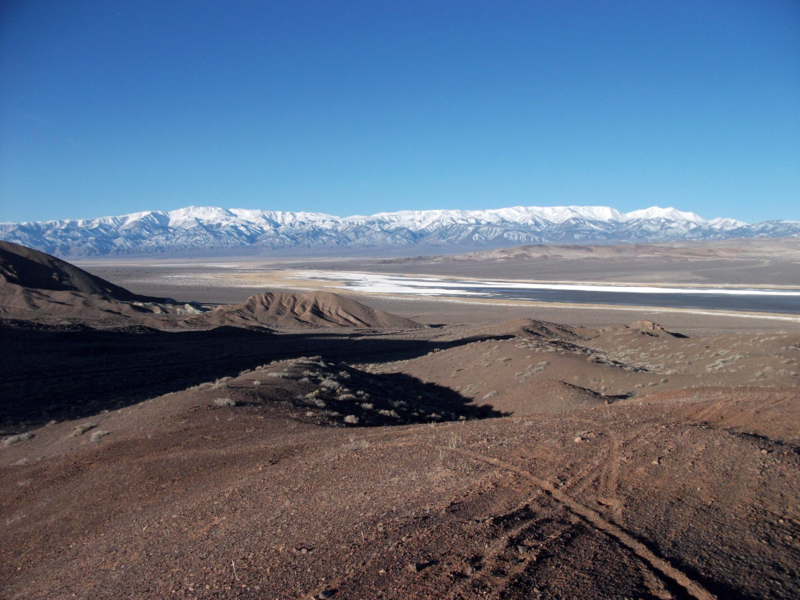 After it opened Silver Peak was responsible for the closure of several Li enriched pegmatite mines due to the advantageous economics extraction by this method has over hard rock mines. Additionally evaporative brine mining is quite environmentally benign, and is achieved with a minimal carbon footprint. 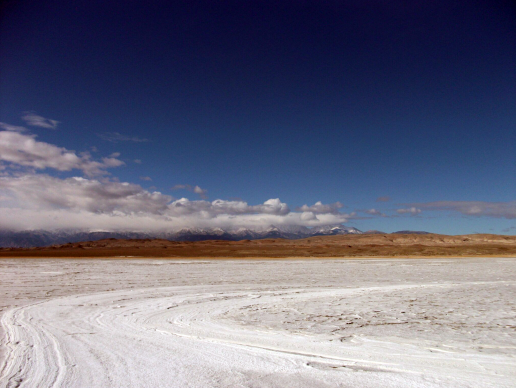 The geological setting at Clayton Valley and Fish Lake Valley is highly analogous to the salars of Chile, Bolivia, & Peru. Preliminary sampling here by Lithium Corporation indicates that surficial Lithium enrichment can be found which is on par to that seen at Silver Peak. Access is excellent in Fish Lake Valley with all weather gravel roads leading to the property from Highways 264 and 265 and maintained gravel roads ring the Playa. 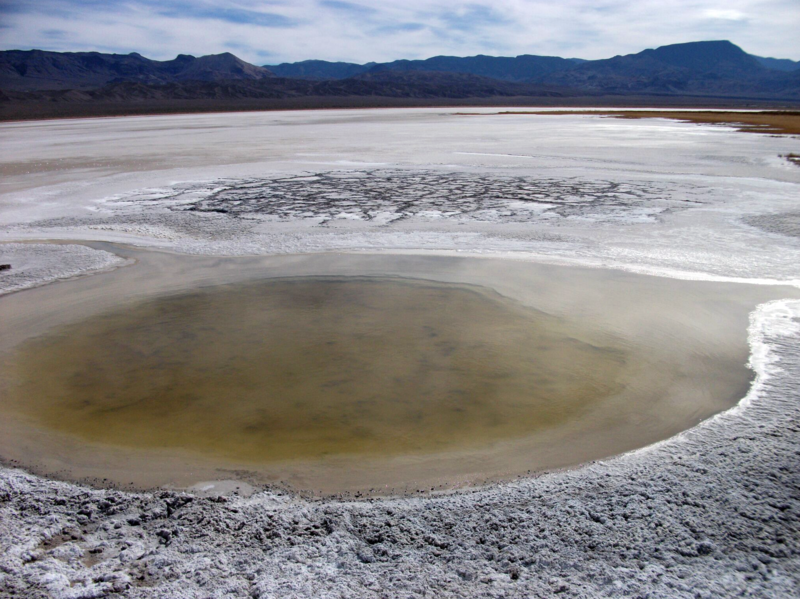 Power is available approximately 9 miles (15 km) from the property and the village of Dyer is approximately 12 miles (20 kms) to the south and the town of Tonopah Nevada is approximately 46 miles (75 km) to the East. Near surface brine sampling in April/May 2011 encountered lithium/boron enriched brines where the best result was 140mg/L lithium. 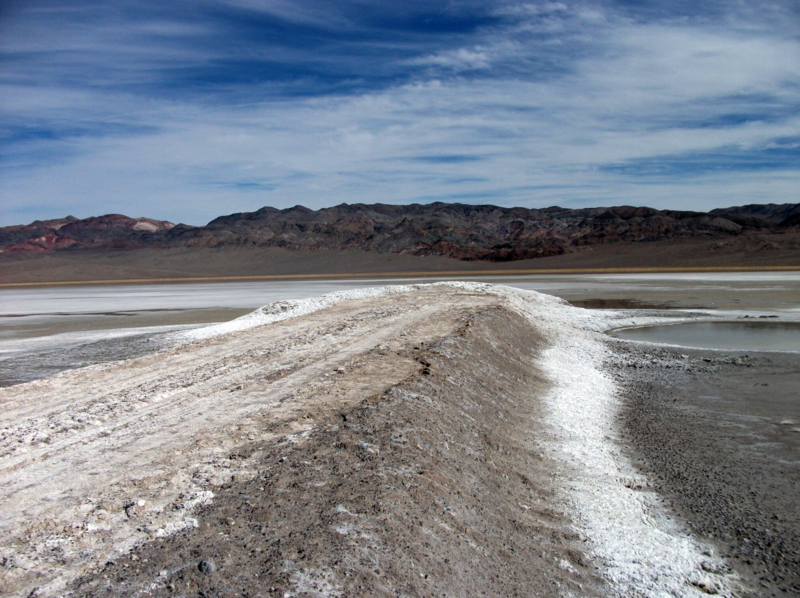 In addition to these strongly anomalous lithium values, boron is also elevated with the highest value to date of 2500 mg/L., and Potassium is also enriched, with the best result being 7200 mg/L. The highest values appear to be confined to an area approximately one-half mile square that is within a larger zone of moderate to highly anomalous lithium and boron, which is 1 ½ miles long by 1 mile wide. Wet ground conditions precluded drilling the prospect in 2011, however the Company did manage to conduct a short drill program here in the Fall of 2012.